Look, we know you’re probably not expecting to shed a tear over a description about Kids Bumblebee Tights, but get ready, parents, because here we go! We mean…RIGHT?! Who knew that a pair of Kids Bumblebee Tights could incur so much amazing and powerful emotion? 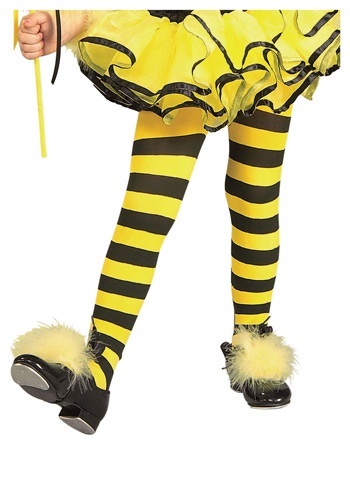 If your own sweet girl has a mind of her own and an adorable, quirky style that sets her apart, then we highly recommend encouraging that independent, heroine-esque spirit by giving her these black and yellow striped tights! Let her wear them as a part of a costume or, if they make her as happy as Lou, as a part of her favorite every-day outfit!